By all means, install the trigger!!! 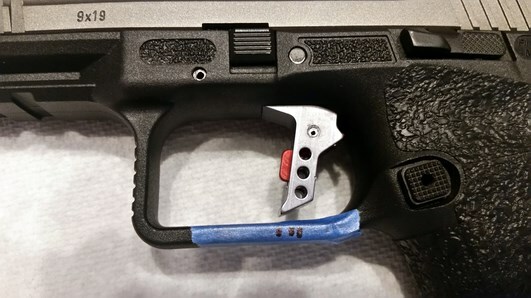 With the springs upgrade, and the Freedomsmith trigger, what is your trigger pull weight? 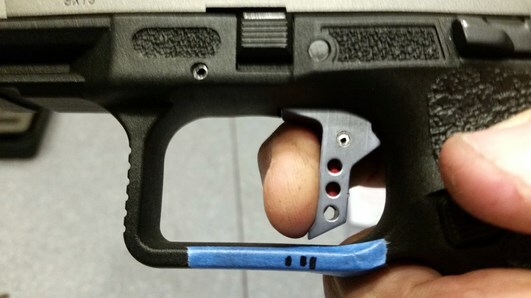 Just curious if there is any additional reduction in the pull weight with the new trigger. 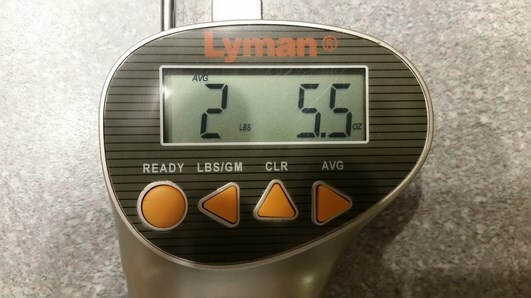 By my trigger scale, pull is now about 5.25#, down from 6#. 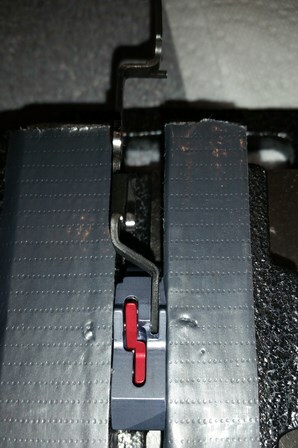 It's not that the trigger itself lowers the pull weight, it simply removed 99% of the slop/creep in the takeup. Mine now has maybe 1mm of movement before I'm on the wall if that, and the width of the trigger gives a much better feel. There is zero overtravel. If you're still on the fence about whether or not you want one, perhaps you can locate someone near you who has one installed that you can try. Hey RT...I'm not on the fence, I plan on ordering one once the other colors are available. As of yesterday only purple was available on their eBay store. My trigger measured 3-10# right out of the box. After the initial 350 rounds, replacing the springs and doing some polishing, it's now at 2-7#. I really don't want to drop it much more. Like you mentioned, I'm looking to get rid of the initial take-up, which this trigger clearly does. Once I get it, and take the gun apart, I'll do a little more polishing of the trigger bar. When all is said and done, I'm guessing I'll be somewhere in the low 2s. As of now I have 500 rounds through it and the gun has been flawless. Mainly asked because I installed a Gray Guns flat trigger in my 320 and the trigger alone dropped the pull weight by just over 2 lbs. It was advertised as doing so, so it was a planned reduction. I just wanted to know what others have experienced after installed the Fat Daddy. Decided to take the SFx on a little trip. Flew down to our place in Myrtle on Spirit Airlines. It was my first time flying with a handgun, and was prepared with all the TSA and Spirit requirements docs. 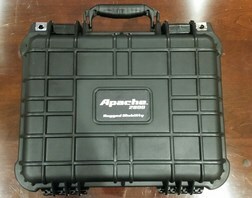 I purchased one of these "Pelican" like cases a Harbor Freight for around $24. $29.99 and a 20% off coupon. It's a really well made case. Per the TSA requirements I had two Master Locks on the case. 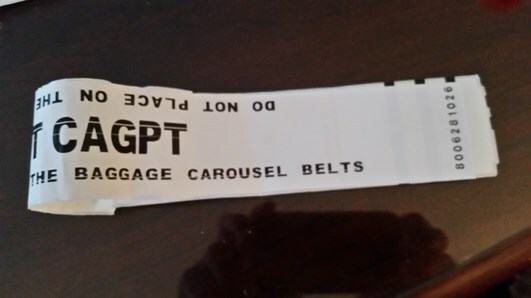 There was a portion that I kept, and the main tag stayed with the check bag. I asked the agent if he needed to inspect the firearm to ensure it was unloaded and got a prompt..."you're all set" ! ...NOW THAT WAS EASY!!! I Appears my signing the tag was enough to verify I was in compliance with all TSA requirements. So we were on our way, boarded on time, and arrived on time without any hitches. 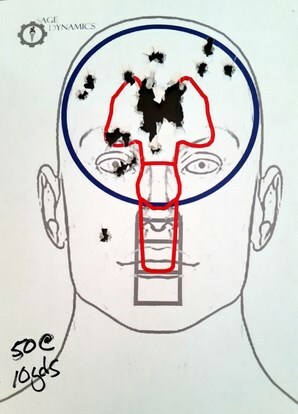 Decided to hit an indoor range on Friday called "The Gun Store and Indoor Range" about 30 minutes away in S Conway. Fairly new place that opened a couple years ago. http://scgunstore.com/ GREAT place that's veteran owned, and a nice bunch of guys. I picked up 100 rounds of Remington 115 JHP at Wally World to try and bought another 100 rounds of 124 Blazer FMJ at the range. 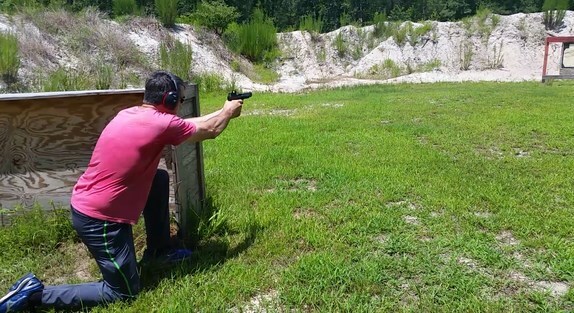 Wanted to see how the gun like hollow points...they went down range just fine. No issues at all. This is turning out to be a VERY nice firearm!!! Planning to go to an outdoor range in the next few days. Found a nice place about 45 minutes away in Tabor City. http://www.lowcountrypreserve.com/ Talked to one of the guys there and sounds like a nice place. 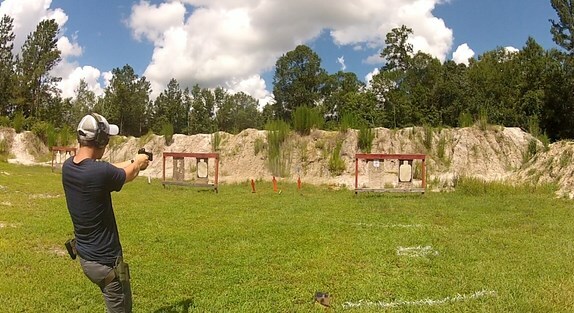 $20 a day for all ranges, pistol/rifle and for another $5, you get access to their reactive metal target area. Should be 5 or 6 of us going so it should be fun. The guy at the range said he'd set us up in our own area as well. So we'll be able to setup a couple different stages to have some fun with. 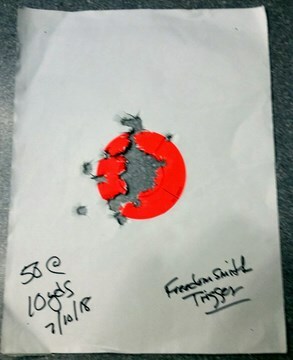 Purchased 2000 rounds of Fiocchi from Target Sports USA last Monday and had them sent to our place. https://www.targetsportsusa.com/fiocchi ... 53786.aspx for $179.80/1000. Free shipping and no sales tax. 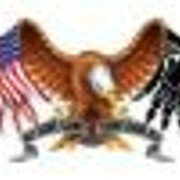 I have bought a lot from they and they are great to deal with!!! Also bought a 50 pack of IDPA full size paper targets and a 20 round mag for the gun. Living in the "LIBTARD" state of MA, we're limited to 10 round mags. But down here...no issues! Want one to try and I'll just leave it down here. I have my CC license down here so all is good. Looking forward to a good time and will report back once we hit the range! Thx for the info on traveling with a firearm. Sounds easier than I would have thought. Something I discovered with the SFx at the range yesterday...while doing some speed reload drills, I found with a firm insertion of the mag, the slide would release and go into battery without touching the slide release lever. It's very repeatable. I've read that this is common with some handguns such as Glock and M&Ps, but haven't read anything on the Caniks doing this. 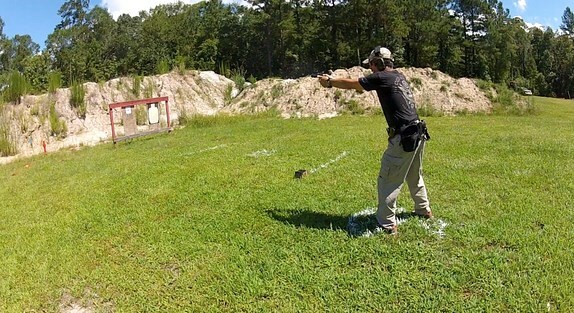 I've seen this in IDPA matches, and it looks to be an advantage in competitive shooting. My SIGs don't do it. Yep. My Sfx does it quite a bit, but not every time. So does my G19. 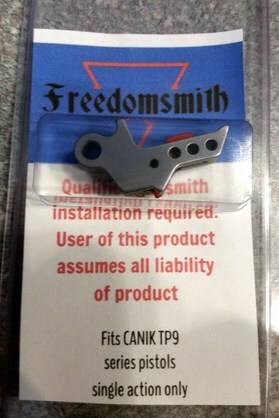 Ordered my Freedomsmith 3 hole trigger today in "Canik Gray" and red. My Freedomsmith Trigger showed up today and I couldn't wait to get it installed. I used a 3/32 and 1/8 inch punches for the 3 main roll pins. I used an awl for the slide takedown roll pin. Was careful to make sure the slide takedown plunger and spring didn't go flying when removing the takedown lever bar. Removed the front block, and sear assembly with trigger and trigger bar as a complete assembly. Both came out without too much trouble. 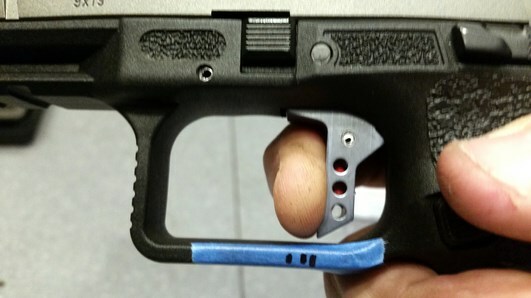 Next I used a punch to release the factory trigger from the trigger bar. I had a little trouble getting the new trigger onto the trigger bar. Just couldn't get the roll pin to line up while trying to hammer the roll pin. 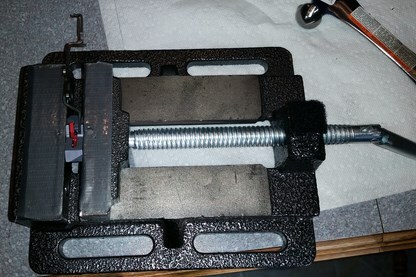 I decided to try a vise I use for installing new sights. 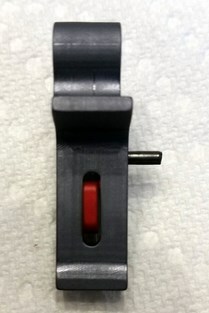 Pressed very slowly while holding onto the trigger bar feeling for the pin to seat into the trigger bar hole. This made it much easier! With the trigger installed, I reconnected the trigger bar spring to the trigger bar and inserted the sear block and trigger into the frame. I used a small punch to insure it was seated properly. 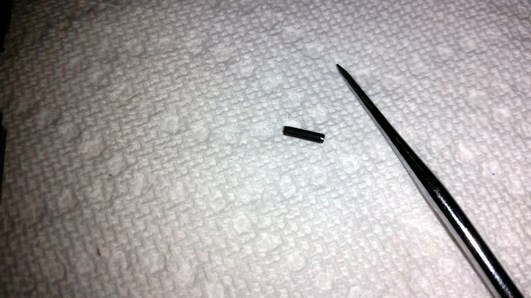 I then installed the sear roll pin to secure the assembly. Next I placed the slide release lever and spring in into the frame and held the spring against the lever and inserted the front block assembly. Once in place I inserted a 1/8" punch through the hole to align the trigger and slide release lever to insert the roll pin. Holding the frame and punch in my left hand, I inserted the roll pin from right to left tapping it with the hammer forcing out the punch. At first I was a little concerned that I somehow didn't install the assemblies correctly...I felt the trigger movement was too short. Looking at what I did, I couldn't see anything that looked out of place. So I continued and inserted the front block roll pin. And finally I inserted the takedown spring and plunger and inserted the takedown rod and finished by installing the tiny roll pin. I used a pair of channel locks with electrical tape to protect the gun parts. What I thought was a problem, short trigger cycle, was actually how it should be with the Freedomsmith trigger. It just feels SO NICE and LOOKS AWESOME! Last edited by GlennSFX on Wed Jul 11, 2018 5:11 am, edited 1 time in total. This trigger is worth every penny! Can't wait to get to the range and run this thing! Will probably head there WED morning before work and will report back. Average trigger pull (10) is pretty much where it was prior to the install of the new trigger, down an ounce. But man it this thing sweet. 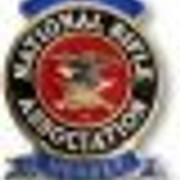 Fairly new facility with a good selection of firearms and accessories. The 10 bay range was really nice as well. 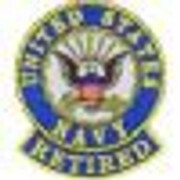 They're veteran owned and locate in S. Conway, SC. Nice bunch of guys too. Also shot at the "707 Indoor Shooting Range" in Surfside, SC. https://www.707indoor-shootingrange.com/. I've been there before, it's older and smaller than The Gun Store, only 5 shooting bays, but was closer to my sister-in-laws parent's place. Went there with my brother, sister-in-law, nephew and son. We had 3 guns with us, my SFx, sister-in-laws PPS, and my son's customized G19. We ended up going through 450 rounds. 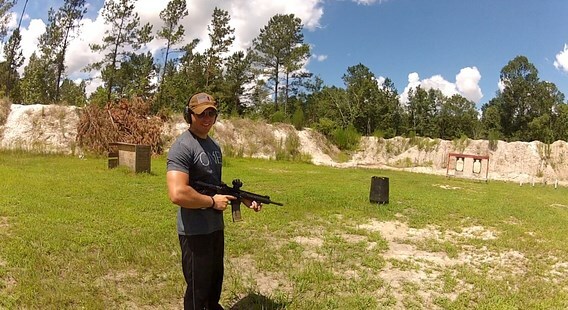 Everyone wanted to get a little practice in before heading to the outdoor range. So last Friday we headed to "Low Country Preserve" in Tabor City, NC. http://www.lowcountrypreserve.com/. It was an easy 40 minute ride from our place in Myrtle. I called them a couple weeks ago before flying down to see what they had available. It's a large 300 acre facility with a lot of separate shooting areas. The guy I spoke with said he could set us up in our own area and provide some metal targets for an extra $5 per person. So it was $20 per person for the day and $5 for the metal...very reasonable! 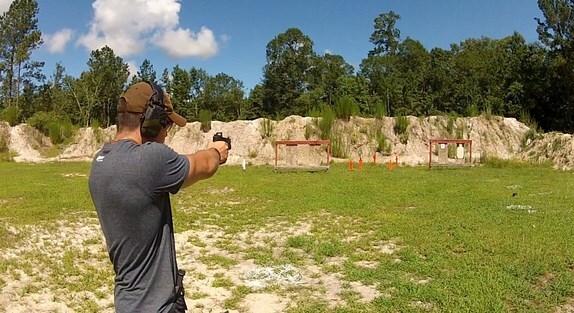 With approximately 1500 rounds, we got ourselves setup and decide to have a little fun. 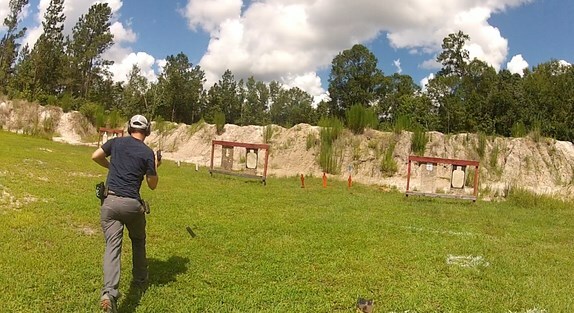 We hung some IDPA paper targets and went though some basic drills to make sure everyone was comfortable. My son and I decided to setup a few run and gun scenarios. My brother, sister-in-law, and nephew had only shot statically, never moving so they were looking forward to it. My son also brought his AR so everyone got a little time with it as well. We were there for 3 1/2 hours and needless to say, everyone had a blast! If you're in the Myrtle Beach/Surfside area, I highly recommend visiting The Gun Store and Low Country Preserve! Last edited by GlennSFX on Tue Jul 10, 2018 2:23 pm, edited 3 times in total. Brother...He was loving the SFx! Flying home with the handgun was a little different on Delta. I declared the firearm at the counter and was asked the questions regarding the status of the firearm and ammo as opposed to "initialing" them on the tag flying down on Southwest. The other thing I wasn't told was there was a special tag placed on the bag. When we arrived at Logan in Boston, my bag never showed up on the conveyor belt with all the other luggage. There was a Delta representative standing nearby so I asked her if all the luggage had been sent to the conveyor. She said yes, so I asked if the bag would be anywhere else and mentioned it contained a firearm. I got the big "OH", it was in a special area and I had to show an ID to get the bag. Once I got it, I saw the tag that stated the bag should not be placed on the baggage carousel, obviously seeing it contained a firearm. On the trip down the bag DID go on the carousel with all the others in Myrtle Beach. I guess things are a little more lax when you head south!! 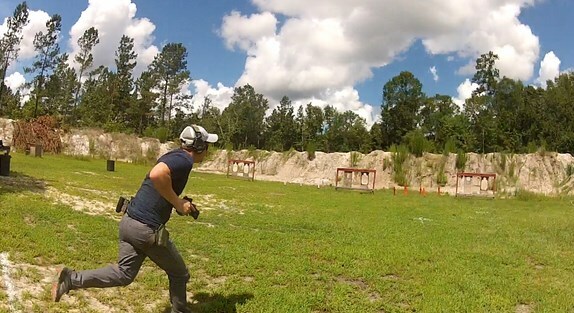 Overall it really wasn't a big deal flying with a handgun! Last edited by GlennSFX on Wed Jul 11, 2018 6:28 am, edited 1 time in total. Hit the indoor range last night after work. Really happy with the trigger! I think the gun is pretty much where it needs to be with all the mods. Would like to thank all the Fanatiks who have posted their upgrades and experiences!! I posted this video and text in another post asking about the Sig X5, but wanted to also post it here to keep my thread up to date. 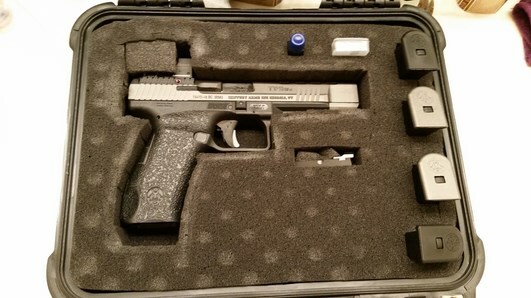 I tried a guys X5 with the Gray Guns Competition Trigger Kit after an IDPA match and I think the SFx with the springs changed and the Freedomsmith trigger is nicer. 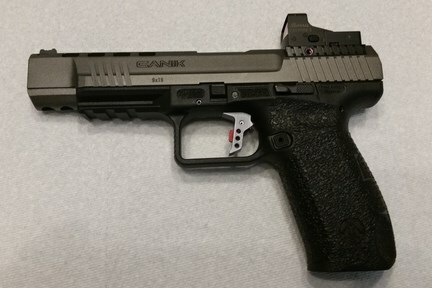 I have a SIG P320 with the X-Carry grip and Gray Gun Enhanced PELT2 Trigger. It's nice for a carry gun but the trigger action doesn't compare to my Canik. The Canik is just so smooth and crisp, and has an extremely short reset. 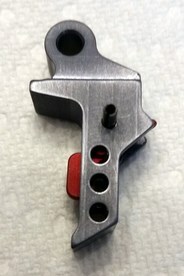 The Freedomsmith trigger get's rid of the long take-up that's characteristic of the stock trigger. 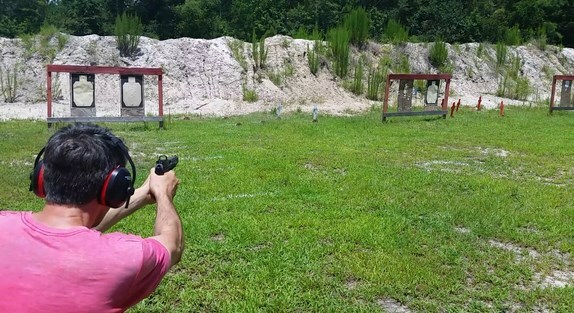 Been out shooting my steel targets getting ready for my first "Steel Challenge" this weekend. Really liking the new Freedonsmith trigger! Gave the SFx a real good cleaning last night. Pulled the FP assembly just to see how things looked. Everything seemed to be in order. I decided to go to the indoor range and throw a box down range just to make sure everything was good for tomorrows shoot. First 3 mags (30) were at a comfortable pace, last 2 (20) picked up the speed. All but one stayed in a five inch circle. I think we're good to go! When we pick teams, you're on my side. ...We'll see how the "Clanging" goes when the timer is running!!! Well got my 1st Steel Challenge under my belt...LOTS OF FUN! Surprised how many people were shooting rimfire pistols and rifles. They all had pretty fast times too. Started out on "Smoke and Hope" which is the easiest of the 5 stages. Shot well and felt good. In hindsight, the large targets lead to being a little overconfident! Then went to "5 to Go" which is the hardest. Tried to go too fast on the first two strings! Had the only two misses on this stage. The remaining stages weren't too bad. I pretty much determined I need to work on the transition between targets, and not over anticipating the next target/shot. Also planning on how to attack the course makes a difference. One of the league shooters was giving me a few pointers after the match. Going to buy myself a timer, and get to the outdoor range with some metal targets. I think I'm hooked!